QUICK REVIEW (06/10/2011): A friend (and her husband) just ran out of Sisley-Paris Ecological Compound and asked if there were a better or more current formulation. Ecological Compound was the first Sisley product I tried and I’ve used it several times while I was working at Neiman Marcus. 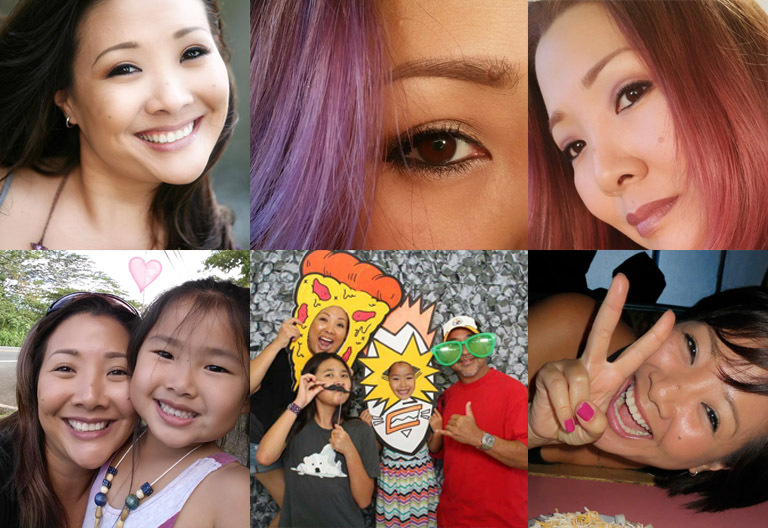 With all the new skin care trends pointing toward more natural ingredients, this product is way behind the times. With fragrance (high on the list of ingredients) along with a mineral oil base and loaded with parabens, this formula is in dire need of an overhaul. The formula itself is decent enough – lightweight and I adore the scent (it reminds me of the friend who introduced me to Sisley). The irony is for $239 (about $57/ounce) – you can get some serious anti-aging skin care that will improve your skin, not just moisturize it. I’m really not sure what makes this fairly basic moisturizer so expensive. You can get 1lb. of Centella Asiatica Extract for about $35 – and the other botanicals: ginseng, hops, horsetail and rosemary are fairly basic ingredients as well. So my answer – yes. There’s a lot of products that are “better” – and better for your skin. SISLEY ECOLOGICAL COMPOUND INGREDIENTS: Water, Mineral Oil (Paraffinum Liquidum), Centella Asiatica Extract, Stearic Acid, Triethanolamine, Propylene Glycol, Glyceryl Stearate, Fragrance (parfum), Stearyl Alcohol, , Benzoic Acid, Phenoxyethanol, Carbomer, Methylparaben, Butylparben, Ethylparaben, Equisetum Arvense Extract, Humulus Lupulus (Hops) Extract, Rosmarinus Officinalis (Rosemary) Extract, Panax Ginseng Root Extract, Propylparaben. (cont. linalool, coumarin, limonene, benzyl benzoate). Goldfaden 3-in-1 Daily Moisturizer (2oz. $65 – $32.50/oz.). 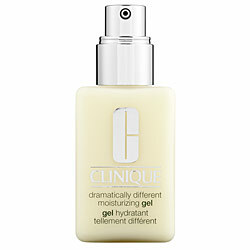 Simple lightweight formula has hyaluronic acid, no mineral oil or parabens. Has added fragrance, but its listed last. Also has anti-oxidant benefits of red tea. Available at dermstore.com and goldfaden.com. Image Source: Goldfaden.com. 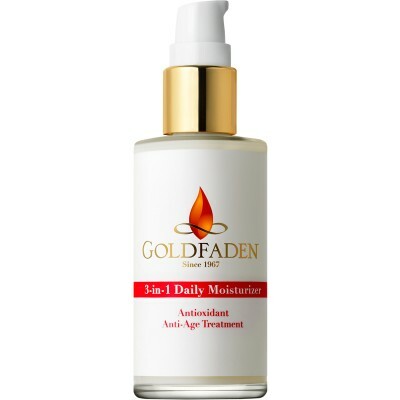 Goldfaden 3-in-1 Daily Moisturizer Ingredients: Distilled Water, Hyaluronic Acid, Seaweed Extract, Sodium Polyacrylate, Cetearyl Isononanoate, Ceteareth-20, Cetearyl Alcohol, Glyceryl Stearate, Glycerin, Ceteareth-12, Cetyl Palmitate, Red Tea Extract, Oil of Kumquat, *Phenoxyethanol, Ethylhexylglycerin (alternative to parabens). REN Vita-Mineral Radiant Day Cream Ingredients: Rosa Damascena Flower Water, Camellia Oleifera Seed Oil, Cetearyl Octanoate (Source Coconut oil), Cetearyl Alcohol (Source Coconut oil), Myristyl Myristate (Source Coconut oil), Glycerin (Source Coconut Oil), Butyrospermum Parkii (Shea) Butter, Sesamum Indicum (Sesame) Seed Oil, Cetearyl Glucoside (Source Corn), Caprylic/Capric Triglyceride (Source Coconut Oil), Rosa Canina (Rose Hip) Seed Oil, Triheptanoin (Source Coconut Oil), Oryzanol (Source Rice), *Phenoxyethanol (source Aromatic Ether), Vaccinium Macrocarpon (Cranberry) Seed Oil, Laminaria Ochroleuca (Algea) Extract, Cassia Alata (Candle Tree) Leaf Extract, Pueraria Lobata (Kudzu) Symbiozome Extract, Magnesium Aspartat, Zinc Gluconate, Copper Gluconate, Parfum (100% Natural Fragrance), Rosa Damascena Flower Oil, Pelargonium Graveolens (Geranium) Flower Oil, Geraniol, Sodium Hydroxymethylglycinate (Source Amino Acids), Carbomer (Source Polymer), Tocopherol (Vitamin E). Thanks for the info! i didn’t realize the EE price had dropped again (wasn’t it up to $300+ at one point??). While hubby does use it as a moisturizer, I use it UNDER my moisturizer—- how would that affect your article/suggestions? All SIRCUIT®SKIN Cosmeceuticals products are formulated with chirally correct ingredients. Chemicals cause stress simply because they are foreign to our skin or body and often are not recognized or used properly by your skin or body. Chiral technology creates a product that is better than natural because it separates the molecules, allowing us to remove the undesirable side of the molecule and use only the desirable one. Scientists have firmly established that chirally correct molecules determine how and if a particular ingredient will be effective. Chirally correct, fresh ingredients deliver nutrients deep into the cell’s structure — nutrients that your skin not only recognizes, but can also use. Or an anti-oxidant serum like Cellex C Advanced C Serum ($130) or Sircuit Skin Sircuit Weapon (10% Vitamin C) Serum. I personally had good results with IS Clinical Super Serum Advanced+ although most Vitamin C serums will work in similar ways by improving firmness and skin tone within 8-12 weeks. You have good genes – so its all about prevention! Let me know if you want to try the Skinceuticals Phloretin CF Serum – I think I have an extra sample laying round.